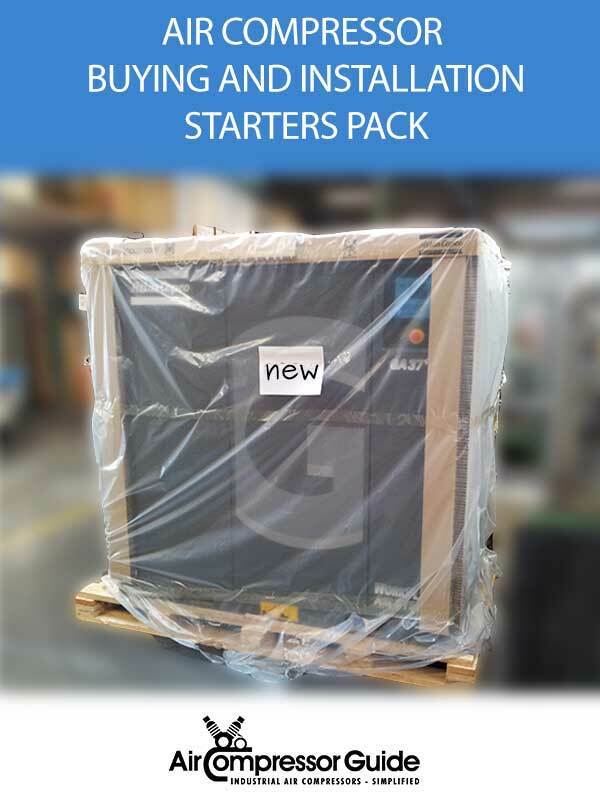 My “Air Compressor Buying and Installation Starters Pack” covers all things you need to know when buying and installing an industrial air compressor. It’s a quick read, offers many insights, includes worksheets and a cheat-sheet of question to ask the sales guy. It will save you thousands of dollars in compressed air cost over the coming years, guaranteed! You don’t buy an industrial air compressor every day, or even every year. Chances are that this is the first time you buy a new industrial air compressor. This is a quick guide about what to think about when buying and installing an industrial air compressor. It will save you thousands of dollars and headaches, guaranteed! I can guarantee you that you will be a happier compressor owner. I have seen the same mistakes being made over and over again… These tips are the result of my years of experience in the compressed air business. Availability of service in the area and service hours (24 hr emergency service available)? in many cases, the company where you bought the compressor will give you a quote for installation. Or, you can do it yourself or hire your go-to contractor for the job. But, I’ve seen many time that things where overlooked. For example when replacing an old compressor for a new one, the newer compressor might require a bigger electrical cable size. Or the cooling air intake and exhaust are in another location. Know your requirements – Do you need a VSD compressor or not? What other things are important? The common pitfalls and mistakes – Avoid easy to make mistakes and common pitfalls. I’ve seen all of them in my years in the compressed air business. What to ask the salesperson – They have their own little sales script and secret tactics – now you have your defense! 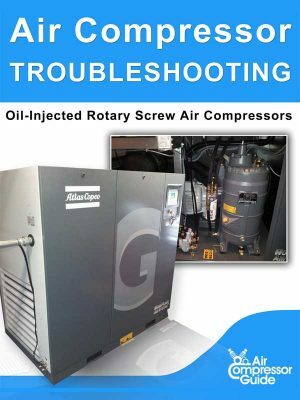 Mistakes with compressor installations -A bad installation will ruin a perfectly good air compressor, don’t make these mistakes! Installation for reliability and extended compressor lifetime – Congratulations! You bought the right air compressor and installed it correctly. Now enjoy years of efficient and reliable compressed air. Access to me Personally – If you buy this guide you become part of my ‘inner circle’ – with access tot he private members-only forum to ask your questions. 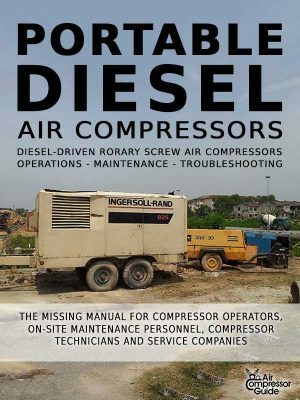 Here is my list of the most important questions to ask when buying a new industrial air compressor. You should either ask these questions to the salesperson visiting your business or you should ask these questions to yourself when deciding on a new air compressor. Don’t forget or overlook anything! In this report I will share my top tips on how to save money on energy (electricity) and maintenance. I will tell you the things you can or NEED to do when buying and installing your new air compressor. This is the perfect time to do it right and save money for years to come! 3. Buying an Industrial Air Compressor – Worksheets Bonus! To make sure you don’t forget anything… Use these worksheets when buying and installing a new air compressor. For example, did you think about the required electrical connections? Is there still capacity available? What is the required electrical wire and fuse size? Is there enough ventilation in the compressor room, even after installing this new compressor? Check. Does the compressor require cooling water? If yes, what quantity and quality? Check. Does the compressor require a drain (for condensate water)? Check. Where is the cooling air intake and exit for this compressor? Check. 4. Air Compressor – Fact Record Sheet Bonus! Use this sheet to collect information about the air compressors presented to you by the sales guy. Use it to quickly and easily compare different air compressors and make the best choice!